The Internet of Things (IoT) has grown rapidly in recent years and shows no signs of slowing any time soon. In fact, it’s estimated each of us will own 28 IoT devices by 2020 compared to the average six devices per person we see today – that’s a massive increase. It’s no wonder that, as a result, the IoT market is expected to be worth more than 11 trillion USD within the next 10 years. All this newly acquired data raises a new set of questions and most importantly the main query for us is what are we going to be doing with all this data. The amounts of information available are going to be huge. The reason behind this increase in IoT devices is the obvious advancement of technology, which also shows no signs of slowing any time soon. Cost-effective and energy efficient sensors have enabled the sentient enterprise, while Edge/Fog computing has provided real-time intelligence close to the source of data creation. The rise of connectivity through the likes of IPV6, LTE (5G) and low-energy BT allows the constant transfer of this data, which is then stored in the cloud meaning all this data is then easily accessed. This is all great but it’s still huge amounts of data, which, despite easy access, is seemingly insurmountable when it comes to any type of analysis. That’s where Qlik comes in. Firstly, to truly understand the value of IoT data, it must be associated with other data. Secondly, any innovation from IoT data must be discovered within the data itself, and, thirdly, for the true value of IoT data to be realised, insights need to be easily shared and acted upon. Qlik’s influence on these three key areas cannot be underestimated nor overstated. It’s simple, without a platform like Qlik, there’s no way of breaking down, digesting and disseminating this data without the requirements of hours and hours of human processing, analysis and, ultimately, sharing. With Qlik, this process becomes almost instantaneous in comparison. We could spend time here running through numerous examples of how the Qlik platform has enabled swift processing of IoT data and the subsequent results but I’m going to focus on one that I’m sure we can all relate to, one that is understandably a forward-thinking leader in the IoT phenomenon. BMW have been using Qlik’s platform to help them understand all areas of their products, processes and procedures. They use Qlik to analyse machine-generated data including in-car data, paint-shop robotics and diagnostic readouts in service. You can imagine the reams of data produced from one vehicle alone, which is why Qlik is so important to the company. It’s used to analyse data from advanced analytics for creation and tuning of algorithms as well as delivering insight into business processes. If you’re looking to capitalise on your IoT data, or utilise your business data to ensure advantageous decision making over your competitors, we’re here to help. Get in touch with the expert Ometis team now to request a free demo of the Qlik platform. After that, as the UK’s largest dedicated Qlik consultancy, we’ll look after everything. So, call us now on 0330 363 9900 and start using your data to your competitive advantage or visit http://www.ometis.co.uk. Data is entrenched within business processes and decisions. In today’s digital world, it’s imperative to organisations across the globe and a controlling factor in whether a business achieves success and continues to grow, efficiently and sustainably. Companies that have already harnessed the power of data have secured a hugely competitive advantage and generated innovation that’s enabled positioning above their competitors. It wasn’t long ago that obtaining, digesting and distributing business data was a full-time role, perhaps even a full team’s role, but the previous decade has seen unparalleled development in business intelligence, its collation and readability. Never before has so much data been available so swiftly and simply, and no more simply than via the ground-breaking Qlik platform. As an official Qlik partner and BI consultancy, we enjoy divulging the latest news and evolutions – that’s why we want to share our expectations for digital BI over the coming months and years. So, we teamed up with Qlik for the recent Qlik Sense Tour to collate some predictions which include AI, hybrid clouds and the death of ‘big data’… read on to find out why. The first big trend that’s taking hold is the move from basic visual rendering to context-driven visual analytics, which will enable simpler visualisation of every aspect of your data. It means an end to consuming only the data you can see, the end result of a set of queries in report format. Instead you can visualise the data throughout preparation and acquisition, while seeing and understanding its lineage – and the whole process will be presented in an easy-to-digest visual format. This trend is driven by organisations becoming more data literate, and leaving the ones that aren’t behind. According to MIT and Emerson University, data literacy “includes the ability to read, work with, analyse and argue with data” and that only comes with true visualisation. The second trend is data consumption. Combining data sources is where the true value lies and this has become easier, faster and generally more efficient in recent years. Easy access to higher quality data is going to drive a change in the way we consider ‘Big Data’. Most ‘Big Data’ projects have met with limited success. Throwing the data into a data lake, or hoarding it with no clear purpose is inefficient. That’s always been our opinion at both Ometis and Qlik but Gartner validates this further by explaining that, through 2018, 90% of deployed data lakes will be useless as they are overwhelmed with information assets captured with no clear plan. That’s the key here. It’s great having lots of data but you must still make sense of it. It’s not about size but combinations of different data sources, regardless of where the data is coming from. It’s why Gartner is predicting that by 2019, 75% of analytics solutions will incorporate 10 or more external data sources, and that 100% of enterprises will purchase external data. Advanced analytics will continue to expand in companies and the market in general, we know the creation of data models is dependent on highly-skilled experts, as is the governance of creations of these data models. However, many more people should be able to benefit from those models once they are created, enabling them to be brought into self-service tools. There is clearly something going on in the area of Artificial Intelligence. People are talking about Deep Learning and Machine Learning and in fact, Artificial Intelligence is the new ‘Big Data’. We believe analytics can be advanced by increased intelligence being added into software but to really make the most of AI, it needs to compliment and assist rather than replace. We know it’s as important to ask the right questions as it is to get the right answers. Processes like synthesis, non-linear thinking, and asking the right question, as well as instincts will continue to be provided by humans. The sweet spot will be the combination of human reasoning with machine learning and the result will be better data literacy and faster delivery. The final trend we want to talk about here is the move from on-premise to cloud hosting – and this trend may surprise you but we believe the mass move to the cloud will peak in 2017. The battles between public cloud infrastructures like Amazon, Google and Microsoft will continue to heat up. After all, their ultimate goal is to own all the data and processes, but the single-stack approach didn’t work out on-premise and we don’t see it being much different in the cloud. Workloads, data, publishing – these things need to sit in many places. That’s why we believe Hybrid Cloud Analytics will emerge as the dominant design, where platform-based, visual analytics is available on-premise and/or in the cloud publicly or privately depending on the customers’ specific needs. There are exciting times ahead in the realms of data. It’s clear that direct access to data will ignite a better understanding of its power and drive a greater need for visualisations that help organisations make informed decisions across all areas of their business. 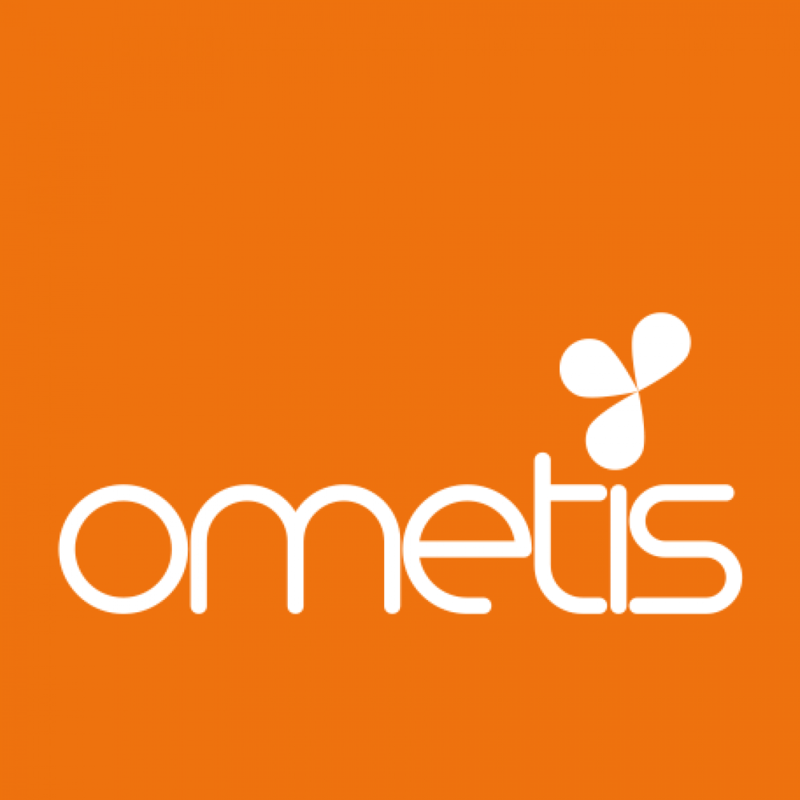 Ometis’ role is to facilitate organisations understand the true nature of these trends and the power they have for decision makers. These trends are not only being addressed by the Qlik platform, they’re being fuelled by it. If you want to know more about Qlik and how it can help you, don’t hesitate to get in touch and a member of the Ometis team would be happy to discuss the data-driven opportunities we can help you unlock. Call +44 (0)330 363 9900, email info@ometis.co.uk or click here and fill out the contact form.